Need to get rid of bed bugs? 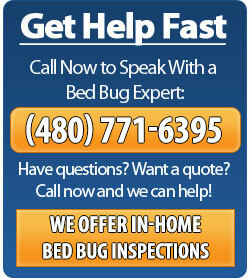 Phoenix Bed Bug Expert offers discreet and guaranteed bed bug treatments. 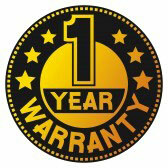 Our treatments come with up to a one year warranty. 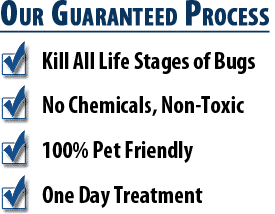 We have been in the bed bug industry for over 5 years and have helped over 8,000 homeowners and businesses get rid of their bed bugs through our heat treatments and chemical/pesticide sprays. If you believe that you have found bed bugs in your home, or you have bites or bumps that look similar to bed bugs, it is important you have an inspection done as soon as possible. A bed bug inspection will allow us to identify where the bed bugs have spread and how severe your infestation may be. If bed bugs or evidence of bed bugs are found during our inspection, we can provide an estimate for our bed bug treatment options. When it comes to bed bugs, there are two ways to get rid of them. The first way is through a heat treatment, which is going to provide instant relief on the same day we treat. You won’t get another bite. The second option is a pesticide/chemical treatment which can take up to 30 days to eliminate a bed bug infestation. If you have bed bugs, it’s probably something that you never thought you’d have to deal with in your life. The reality is here in Chandler, bed bugs are on the rise. The recent resurgence has become a nuisance for many homeowners, hotels, hospitals, nursing homes, apartments, etc. In addition to bed bugs being on the rise, they are rated as the most difficult pest to exterminate. 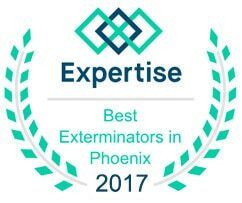 This means when you do need to hire an exterminator, you want to hire a company that specializes in only treating bed bugs. General pest control companies do not have the same level of experience that we provide, and rarely even offer any guarantees for their service. If you hire Phoenix Bed Bug Expert, you can count on our vast experience and track record to exterminate your bed bug infestation. 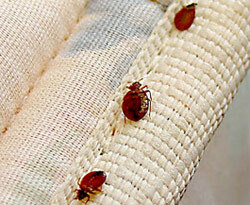 Bed bugs are the only pest that we exterminate. Do not ignore the bed bugs. Your problem will only get worse. One single female bed bug can lay 200 to 250 eggs in her lifetime. Once bed bugs are in your home, they are going to stay there until you have them professionally treated. You can rest assured that we will not only get rid of all of your bed bugs, but we will also help prevent their return. Unlike some of our competitors, we guarantee our work for a year. This means that if you experience bed bug issues within one year after we implemented the pest treatment plan, we’ll go back and treat your home again, at no extra cost to you! To learn more about our 1-year warranty, click here. You can always expect excellent customer service every step of the way—from the moment you pick up the phone to make an inquiry, to the moment we clean up after conducting our bed bug treatment. Don’t just take our word for it, search our company name online and you will find over 200 five-star reviews. The most recent customer reviews can be found on our Customer Testimonials page.